The Jays were back in action after the All-Star Break and got Darvished, striking out 17 times over the course of the game (12 times to Darvish). The Bisons dropped their game to the Pawtucket Red Sox despite a solid outing from Esmil Rogers who went six innings and gave up three runs on six hits and two walks with three strikeouts. Steve Delabar went two innings, giving up a solo home run, walking two and striking out one. 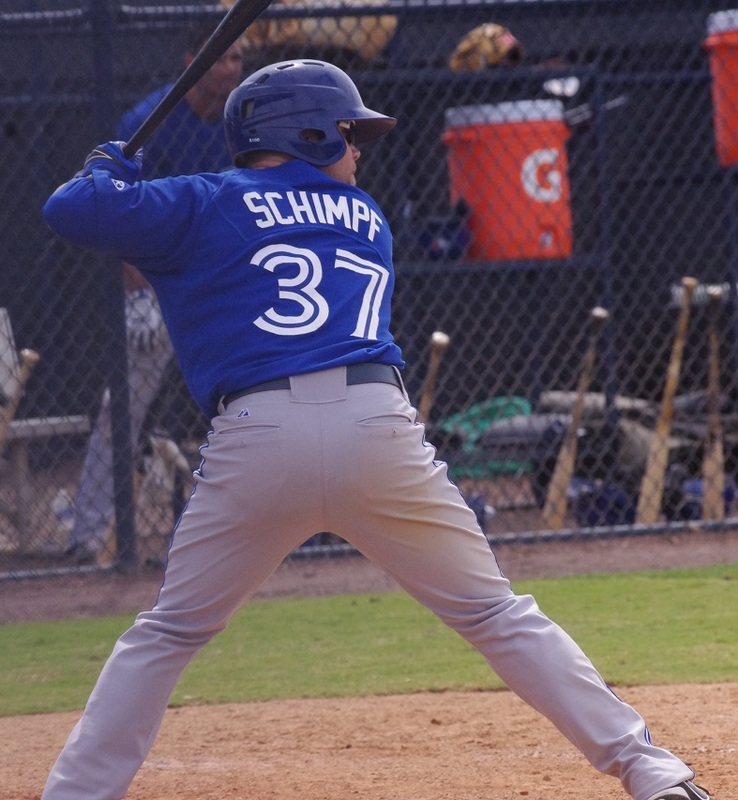 Like the Blue Jays’ bats, the Bisons’ went quiet, getting only three hits including a solo home run from Ryan Schimpf. Roster Notes: 1B Brett Wallace was activated and Chad Jenkins was demoted from Toronto to Buffalo. Dalton Pompey’s Double-A bat is definitely coming around as the Canadian center fielder went 1/3 with a home run, a walk and a stolen base in a 7-4 win for the Fisher Cats. K.C. Hobson also went deep, driving in a pair and taking a walk while Andy Burnswent 2/4 with his 10th home run of the year and two RBI and Jon Berti and Michael Crouse were both 2/4. Matt Boyd was solid again, throwing six innings and allowing three runs on just five hits and one walk while striking out six. Jesse Hernandez had his first good start in a while, throwing six innings and allowing just three runs (one earned) on six hits and two walks, striking out three. Efrain Nieves and Arik Sikula cleaned up the last three innings without allowing a run. Christian Lopes was the offensive star, going 2/4 with a double and a home run and driving in two runs. Gustavo Pierre and Emilio Guerrero also had two hits apiece, each driving in a run and scoring one. The Lansing Lugnuts were destroyed by the Kane County Cougars but the disaster didn’t end there as the Cougars scored 10 times on 16 hits. Seven of those runs (six earned) came off of Chase De Jong as he gave up two home runs among eight hits. Jimmy Cordero allowed just one hit in relief while striking out three and Adaric Kelly was rocked for another three runs. 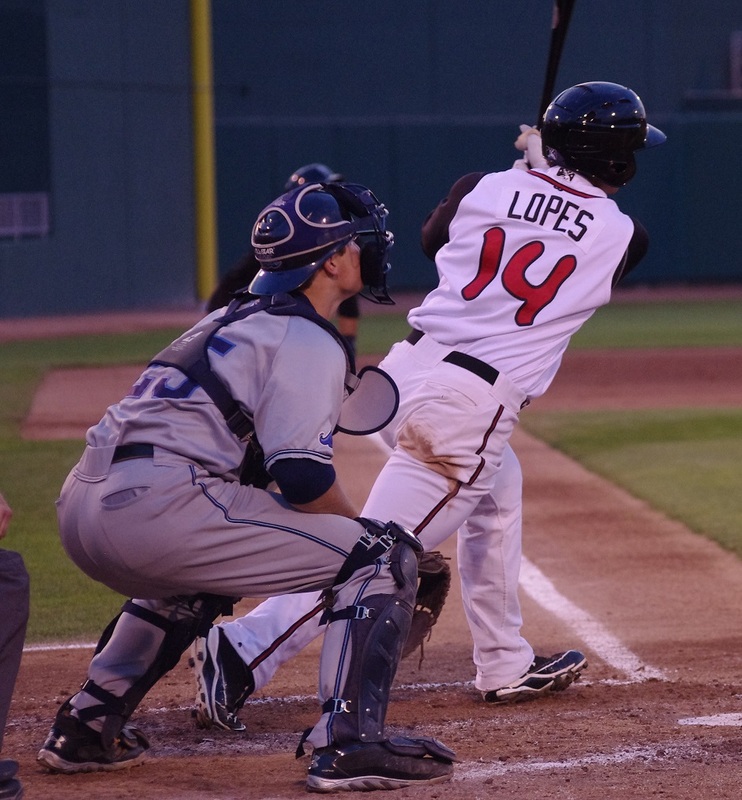 The Lugnuts had only four hits including a double by Dawel Lugo who is the hottest hitter on the team. The Canadians scored 11 times for the second consecutive game, beating the Eugene Emeralds 11-3 on Friday afternoon. Starlyn Suriel continues to be solid, throwing five innings and allowing three runs while Francisco Gracesqui, Michael Kraft and Kamakani Usui finished off the game. Gracesqui was particularly good, allowing just one hit with four strikeouts in two innings. Franklin Barreto had another great game, going 4/5 with three RBI and three runs scored but he was also caught stealing and committed another error. Tim Locastro was 3/4 with a stolen base and Max Pentecost was 2/4 with a walk. Ryan McBroom drove in four, going 1/3 with two sacrifice flies. Joey Aquino saw his ERA bump up to 2.63 after a solid performance in which he allowed only two runs in four innings. Carlos Ramirez gave up three but all were unearned over 1 2/3 innings and Conor Fisk surrendered a two runs over two innings. Oscar Cabrera struck out three in 1 1/3 innings. Gabriel Cenas was 3/5 with a double and Rowdy Tellez is showing further signs of waking up from his slumbers, going 2/4 with two doubles and a walk. The Blue Jays took the first half of the double header, getting a strong performance by Angel Perdomo (5 IP, 4 H, 1 R, 2 BB, 5 K) and some good work in relief from Mickey Storey (2 IP, 2 H, 0 R, 3 K). Juan Kelly was 3/3 with a double (and an error) and Juan Tejada was 2/3 with a double and an RBI. In the seven-inning second half of the double header, Bobby Wheatley went three innings, allowing three runs (one earned) while Francisco Diaz allowed a further run in two innings and Jonathan Torres gave up a run in one inning. The batters only had three hits including a double from Deiferson Barreto and singles from Dean Bell and Dave Pepe. The DSL Jays were solid in a win getting five strong innings from Osman Gutierrez (4 H, 3 R, 1 ER, 1 BB,3 K) with relief work from Jairo Rosario, Wilfri Aleton and Wilmin Lara. Aleton was particularly good, striking out five batters in two innings, allowing just a hit and a walk. Francisco Rodriguez had two hits, including a double in the win and Enmanuel Moreta had a double and Jesus Severino a triple with two RBI. Edward Olivares was 1/2 with two walks and a stolen base. Buffalo’s starter at 6:05 PM in Pawtucket hasn’t been announced yet, due to the Bisons’ shuffling of the starting rotation. With Aaron Sanchez moved to the bullpen and Deck McGuire ineligible to play (because of being designated for assignment), the Bisons are a little thin on the pitching side. Another lefty takes the hill for the Fisher Cats as Daniel Norris returns to action after his scoreless inning in the MLB Futures Game. The Fisher Cats have a tough task as Henry Owens, the Red Sox’ top pitching prospect, goes to the mound with a 12-3 record and a 2.21 ERA. This one should be available on MiLB TV and starts at 7:05 PM. The Blue Jays don’t have a named starter in their game against the Jupiter Hammerheads at 6:30 PM at Florida Auto Exchange Stadium. I would look for Frank Viola to be on the mound. With the Kane County Cougars moving on from Lansing, the Clinton Lumberkings (the L.A. Angels’ affiliate) come into town and the Lugnuts will send Brad Allen (3-2, 4.08 ERA) to the mound at 7:05 PM. While the starter hasn’t been announced on MiLB.com, I would expect to see Jairo Labourt on the mound for the Canadians as they travel to face the Tri-City Dust Devils at 10:15 PM ET. Bluefield sends Matt Smoral (1-2, 6.06 ERA) to the mound on the road against the Pulaski Mariners at 7:00 PM.